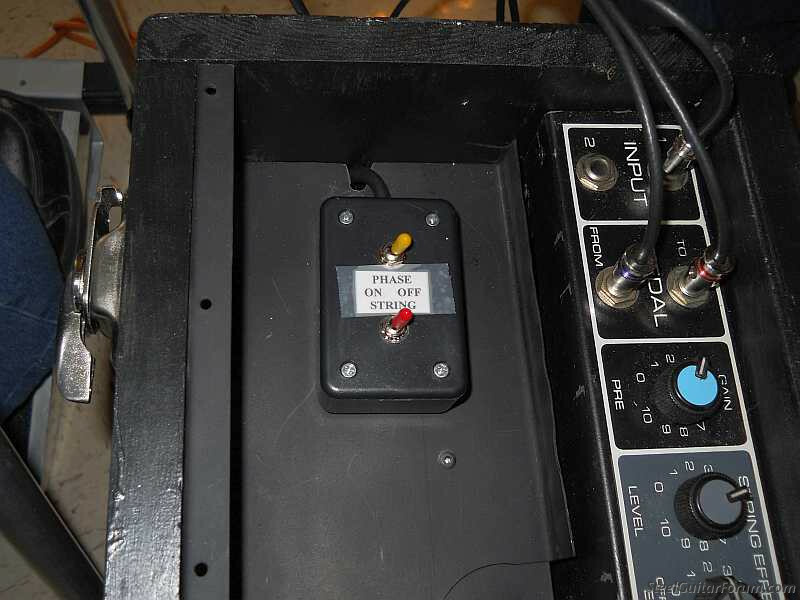 Has anybody rewired the remote switch for a Session 500 so that a 1/4 inch jack could be used? If so do you have a diagram of such? Craig, If I recall (leg remote not in front of me) that is a midi type (5) pin plug that also controls the phaser effect. I don't believe you'd be able to accomplish the use of all the effects using a 1/4" plug. Kevin I am willing to accept not having the reverb control if I could get the other two effects. 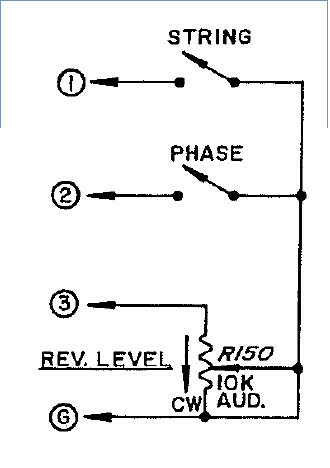 Pin 3 is the reverb. They also use the ground pin. The remote reverb is a 10K Audio pot. Connect one end to Pin 3, connect the other end of the pot and center (wiper) to ground. (1) E6 Rogue lap steel, (1) A6 Rogue lap steel, Li'l Izzy, Zoom MS-50G Effects Pedal into a Berhinger mixer and Harbinger V2112 speaker(s). I may, in fact, be nuts. However, I am screwed onto the right bolt... Jesus! Why wouldn't you use it as is? Are you trying to use it on a differen amp? Personally, I wouldn’t alter the leg remote for a 500. They are very hard to find and worth$$ to someone without one. Repair yes, alter no. You’d have to most likely drill a hole in back panel to add another 1/4” . Why wouldn't you use it as is? Are you trying to use it on a different amp? I wqould love to use it as is but the pin end is so unreliable and I get tired of messing with it. So I figured I could just modify it.